It is the great social critic, bell hooks, who uses the space of home as a site of resistance. Within that framework you can also place the church as a place of resistance. This homeplace, as she so aptly calls it, operates as a place where we can recover from all of the bruises of the world –racism, sexism, classism, ageism. Homeplace was that place of resistance. Church was homeplace for the black Christians. In the place of safety, the church –our homeplace, where do we find solace to build resistance and community. bell hooks states in her essay Homeplace: Site of Resistance that “when a people no longer have the space to construct homeplace, we cannot build a meaningful community of resistance.” The church has been a place where black folks went to simply find refuge and peace as far back as I can remember. Most black Christians took it seriously and looked for any opportunity to invite others to fellowship. Color was not a prerequisite for an invitation. 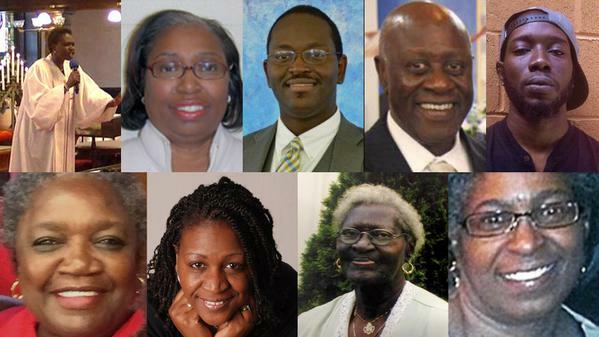 Now enters the events of June 17, 2015 where nine black people (two fellow alums; another, a classmate from Lutheran Theological Southern Seminary, Dr. Simmons and Clementa Pickney) were murdered in an AME church by a white terrorist, Dylann Roof. This young man was at the bible study and when it was over, opened fire on the congregation in attendance. What does evangelism look like in a black world where white terrorism is the norm? The meaning of church starts to reshape when terror is brought to bear in the lives of the church; the danger that arises from a normal invitation to discipleship avails itself to the potentiality of death. In the case of Mother Emmanuel AME Church, we see black folks in their homeplace displaying love and fellowship only to suffer such an utter demise. An act of evangelism and fellowship is kidnapped by hate and evil. This was not the will of God, it was a cowardice act of terrorism that is not foreign to the black church. Church burnings and bombings have taken the lives of many in menial attempts to render blacks humanity irrelevant. Our homeplace has always been on constant alert but for those of my generation we, extended the luxury of the benefit of the doubt when it came to terrorism in the church. Now, that, our place of resistance has been infiltrated with hate, we are now left in a spin cycle grasping for hope.